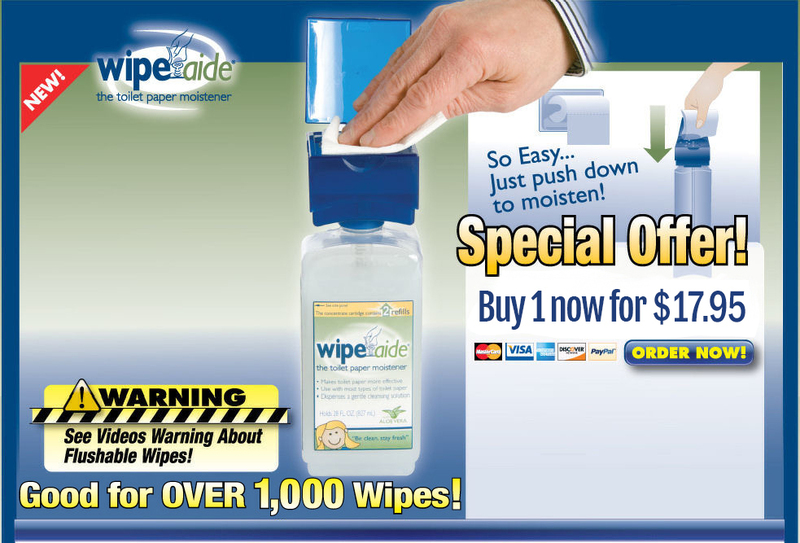 After a few dry wipes, the user simply pushes down on top of Wipeaide to moisten the toilet paper. The natural cleansing solution is pumped through the central tube, and through the plastic aerated cover. The user can easily control the amount of natural cleansing solution that is applied to the toilet paper for maximum effectiveness. Use will repeat the process as needed. Wipeaide can easily be stored under the sink or rest on the toilet tank until needed.